Deploy Your Site Easily on our IIS 10 Hosting!! 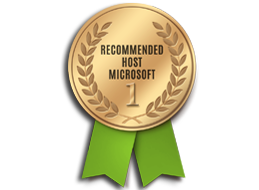 DiscountService.biz is proud to be one of the first ASP.NET Hosting providers to offer IIS 10 Hosting on our most improved Windows 2012 R2 hosting platform. It makes easy to use the most current version of websites tools like Visual Studio and WebMatrix. With our IIS 10 Hosting will increase your website security and reliability. We also allow Full Trust on our IIS 10 Hosting. Internet Information Services (IIS) 10 in Windows Server 2012 R2 offers many enhancements over our previous DiscountService.biz Hosting Packages with improved performance and stability, support for ASP, ASP.NET 4.5/4.0/3.5/2.0 and native support for PHP using multi-threaded FastCGI for improved performance. We are proud to be few of the hosting providers that provide IIS 10 Web Hosting services to our clients. IIS 10 is the next generation of the web servers that being launched by Microsoft to integrate Windows Server 2012 R2 Platform. DiscountService.biz offer IIS 10 hosting packages with affordable prices and great customer support. We use World Class Plesk Control Panel. With our powerful control panel, you can always administer most of your site features easily without even needing to contact for our Support Team.